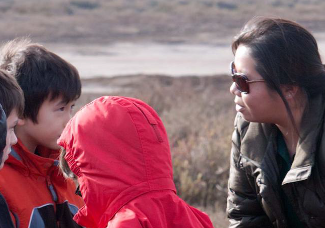 To celebrate National Wildlife Refuge Week this year from October 14 through October 20, the Don Edwards San Francisco Bay National Wildlife Refuge is gathering scientists and naturalists on the refuge for another BioBlitz! Meet the experts and see what they do first-hand. Become a field scientist and help the refuge document plants and wildlife, big and small at Refuge Headquarters in Fremont. The 24-Hour BioBlitz begins at 3:00 p.m. October 20, 2012 and ends at 3:00 p.m. October 21, 2012 at 2 Marshlands Rd, Fremont. A full day’s schedule and more information can be found on the US Fish and Wildlife Service website. The National Wildlife Refuge Association (NWRA) is pleased to announce the 2012 Wildlife Refuge Photo Contest, an exciting event dedicated to showcasing the National Wildlife Refuge System’s rich diversity of wildlife and habitat. Your photos can help us promote this magnificent 150-million-acre federal lands system, a centerpiece of conservation in America. Submit up to five digital photos taken at a national wildlife refuge within the last three years through our website, www.refugeassociation.org, between September 7 and the end of National Wildlife Refuge Week on October 12, 2012. Results will be announced in late October 2012. Download the contest flyer [PDF 1.5 MB]. Watershed Watchers Program Coordinator Debra King talks about wildlife and the habitat they depend on during the Habitat Hike. Photograph courtesy SFBWS. Copyright CC BY-SA 3.0. 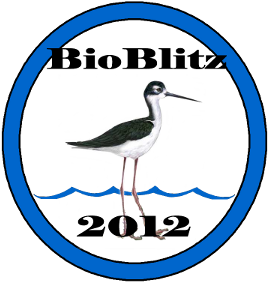 This volunteer internship is located at the Don Edwards San Francisco Bay National Wildlife Refuge Environmental Education Center in Alviso, CA. The Environmental Education Center provides free programs to schools and the public, while teaching about the local wildlife, conservation, and how to help the environment. The Living Wetlands program is designed to teach about wetlands and the properties of wetlands including watersheds and water conservation. We need a highly motivated individual who has an interest in education and visitor services and will assist in educating, planning, and developing the Living Wetlands program. Virtual Watershed Flight Campaign: Endow WOWW! Help raise $60,000 to create two interactive computer exhibits at the Visitor Center in Fremont and the Environmental Education Center in Alviso. You can contribute first-hand to education programs for local schools and the general public. To donate, click here or call 510-745-8170. Donate $5,000 or more Recognition in Kiosk WOWW application program, shown as Sponsor on www.sfbws.com website and special mention in Tideline for 1 year. Donate $1,000 or more Recognition in Kiosk WOWW application program and special mention in Tideline for that quarter. Donate $100 or more Receive a Wildlife Society memento of your choice: mug or mouse pad. Read more » about Virtual Watershed Flight Campaign: Endow WOWW! The San Francisco Bay Wildlife Society is happy to announce the winners of the Don Edwards San Francisco Bay National Wildlife Refuge's 30th Annual Endangered Species Poster Contest. This contest is held annually for schools in Union City, Newark, Fremont, and East Palo Alto. Posters were judged for their concept, composition, color and expression. Winners were then forwarded on to the national contest. Jasmine Lee's rendition of the Quino Checkerspot Butterfly took first place in the K-2 category in the national contest. 2nd Grade 1st Place and National K-2 winner. 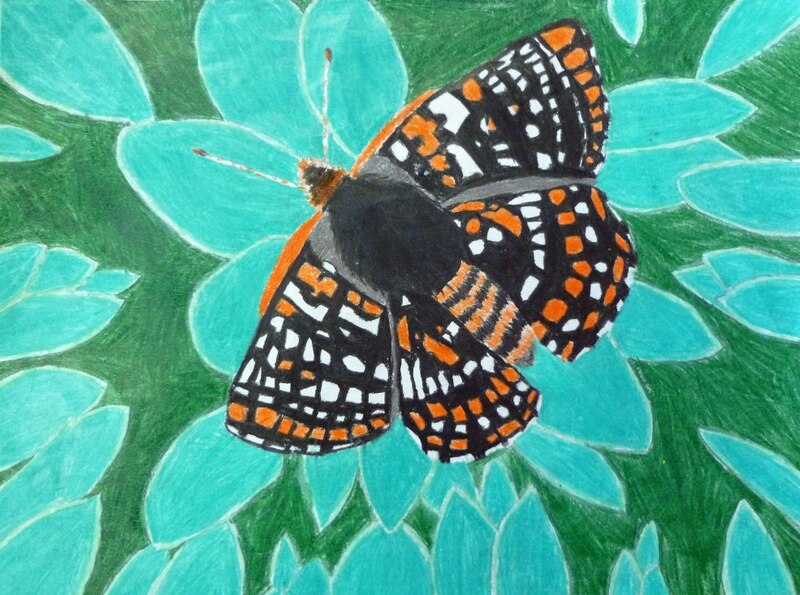 'Quino Checkerspot Butterfly' by Jasmine C. Lee from Warwick Elementary School. Image courtesy US Fish and Wildlife Service. Please join us on Endangered Species Day, May 19, 2012 from 1 p.m. - 3 p.m. for a reception for all the artists who entered. 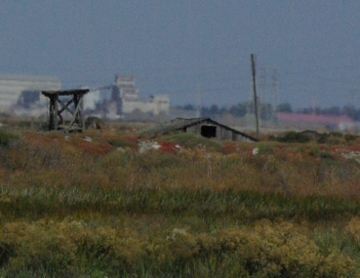 The reception will be held at the Refuge Visitor Center at 2 Marshlands Rd, Fremont, CA. Discover the beauty of local birds! 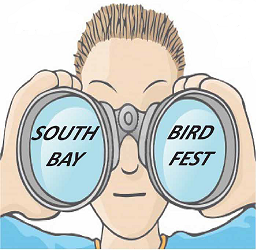 Free face painting, guided bird walks, hands-on activities and crafts! 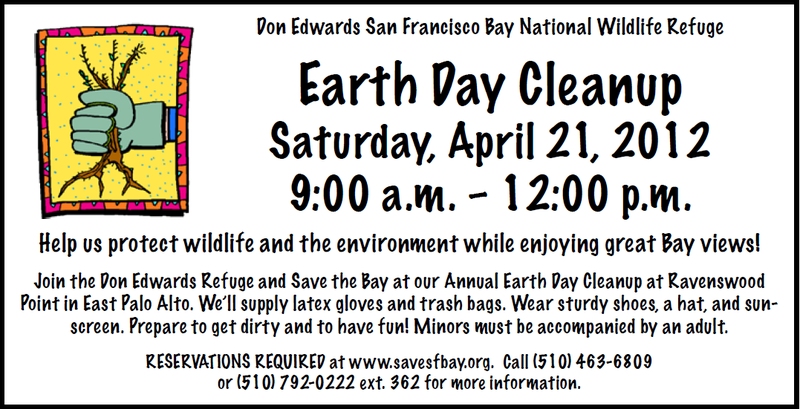 For more information, please call us at (408) 262-5513, visit our website www.fws.gov/desfbay or check out our Facebook page! Sponsored by the City of San Jose, Santa Clara Valley Urban Runoff Pollution Prevention Program, Santa Clara Valley Audobon Society, San Francisco Bay Wildlife Society, and U.S. Fish and Wildlife Service. The Society owes its success over the years to a number of volunteers, who mapped out the organization’s future course and made success possible. Oakland attorney Jed Somit volunteered his time to draw up the initial charter documents and provided the guidance that got the organization started. He served as a volunteer Director for many years.